Last year, I wrote a short post about Turkish public diplomacy where I practically claimed AKP and Erdogan were the biggest obstacles to a robust PD strategy. 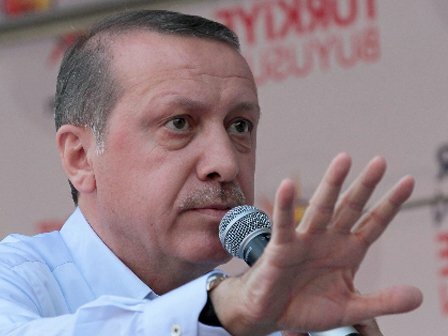 Yesterday, AKP won its third consecutive elections, and will be governing the country for another term. And I still have the same concerns about Turkish PD. 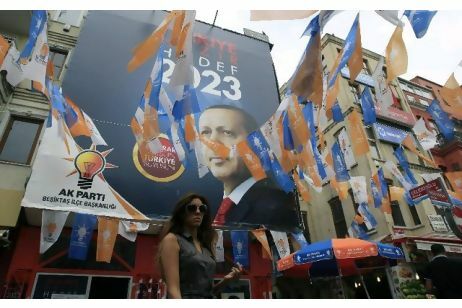 Another AKP Victory: the End of Turkish PD? After reading Ibrahim Kalin’s article on Al-Jazeera English, I realized I should write something once again Turkish PD, soft power, and Turkish identity. To be as ‘objective’ as possible, let me reiterate my political position. Kalin is an advisor to the Prime Minister, is very close to the inner circles of AKP. I, on the other hand, personally label myself as a liberal democrat and belong to a “radical secularism and pro-establishment stance” camp in Kalin’s parlance. Kalin says that “AKP came to power at the end of 2002 and has since then implemented numerous political and judicial reforms, boosted the Turkish economy, and expanded foreign policy.” The economy is boosted with short-sighted reforms and is transformed into a ‘cash’ economy. The expanded foreign policy moved Turkey away from the Western world. The political and judicial reforms caused question marks about the objectivity, fairness, and even capabilities of several organizations. In other words, pretty much like every move in the social world, there is an opportunity cost to every administrative change. So far, the burden of all these opportunity costs have been on pro-secular, urban, educated population (also known as the middle/upper middle classes). I am not arguing what they do was completely wrong. I simply say that they way the reforms are presented do not, in any way, reflect the reality. AKP still wants to change the constitution as it is “[..]an outdated constitution and cannot meet the demands of Turkey in the 21st century.” (Before I say anything, Americans – come on, a constitution over 200 years old? Really? And no changes since 1992? Will you drive a 92 model car? Time for a new constitution…). There are several ‘shortcomings’ of the Turkish constitution. I am pretty sure you won’t find more than a dozen people defending the current constitution. Yet, as we have witnessed two years ago, AKP sees constitution as inherently a party-politics based document and instead of drafting articles to meet the needs of Turkey, accuses everyone in the opposition of being pro-establishment and/or radical secular. Constitution is the supreme law, is a contract between the state and the citizens. I do not believe a PM who doesn’t know anything about gender equality and believes that men and women cannot be equal, who thinks it is okay to tell people how many kids they should have, who sees it within his powers to tell people to quit smoking by taking their packs can do this job. I’m sure that Erdogan believes he can, as he once summarized the powers of his office to an elementary school student by claiming that as the prime minister (for a day), she can hang and she can cut, because she has the authority. Lastly, Kalin talks about “the polarisation of Turkish society over key political issues”. Turkey is not polarized over key political issues. Thanks to Erdogan’s rhetoric, we are polarized over anything and everything! As a rhetoric scholar identified Erdogan’s doctrine in a blog post, you have to choose your side! You either support AKP and its policies, or you are evil. 1) We forgot what democracy is. Under AKP governments, democracy is deduced to voting – actually to voting for AKP. If you vote for AKP, you are a good democrat. If you vote for someone else, you are a bad democrat, and should be grateful that AKP is a forgiving institution, they will tolerate you. Kalin said “Turkish voters have renewed their confidence in Prime Minister Erdogan and his rule in the country” and ignored all the demonstrations and protests against him. Because at the end of the day, voting is the sole tool to voice your opinions in AKP-land democracy. Unfortunately, the current generation will grow up without learning what democracy is – just as we grew up without understanding what being politically active means. 2) Opposition is a sin in Turkey. Kalin used a great sentence to summarize AKP-esqu thinking: ‘despite the opposition of the army and the opposition parties CHP and MHP’…. Despite the opposition of the opposition parties. I just assumed by definition opposition parties are there to oppose, but opposition is never welcomed. 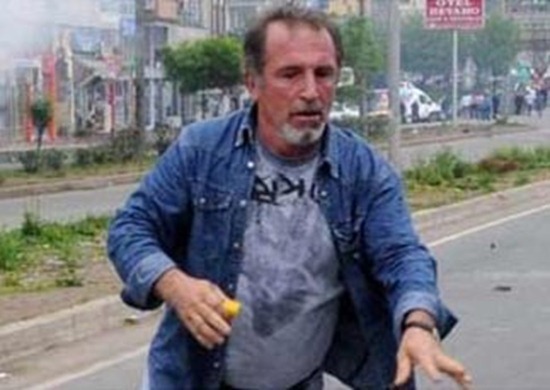 The most recent instance was the death of Metin Lokumcu, a retired teacher who lost his life during an anti-Erdogan protest due to the excessive use of tear-gas. PM Erdogan explicitly and implicitly told us not to feel bad about Metin, and to think about a police officer who got injured. A retired teacher Metin Lokumcu who protested Recep Tayyip Erdoğan, chairperson of AKP after his meeting in Hopa in Artvin lost his life. 3) What is Turkey? What is a Turk? This is definitely not an ethnicity question. 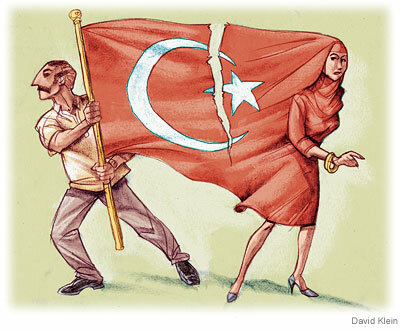 What I’m trying to say is we are losing the image of a modern democratic Turkey and Turkish citizen. Turkey is happy with the image as “an island of stability” in the Middle East. Our PM thinks it is okay to say ‘Is she a woman or a girl, I cannot tell’ about a protester. Public demonstrations, or call to public gatherings for the opposition parties, are officially ridiculed. Long story short, AKP and Erdogan’s Turkey is a ‘not-so-Middle Eastern’ Middle Eastern country, and Turkish citizen is a prayer/worker/voter male or a prayer/mother/voter female. Indeed this image might be beneficial for PD project towards the Middle Eastern countries in short term. But in the long term, the political oppression and move towards the Middle East are likely to backfire, and utterly destroy Turkey’s image as a modern democracy, and Turkish people as ambassadors showing the compatibility of Eastern and Western values. This post is published also on Place Management and Branding blog.